We've all gotten waffle irons as gifts but somehow never get around to making waffles.The good news is that there are a lot of other ways to use them!Believe it or not,your trusty waffle iron can be used to cook egg dishes,including okonomiyaki,a Japanese mash-up of an omelet and a pancake. Heat an 8-inch Belgian waffle iron.加培根,close the top and cook on medium-high until browned and crisp,about 5 minutes.Drain on paper towels. In a medium bowl,beat the eggs with the stock,butter,flour and salt.Scatter the cabbage,carrot and 1/4 cup of scallions on the waffle iron and cook on high,without closing,until sizzling,about 30 seconds.Gradually pour the egg mixture on top and cook,without closing,until the eggs just start to set on the bottom,20 to 30 seconds.Close the top without locking it and cook until the eggs are set,30 seconds to 1 minute longer. 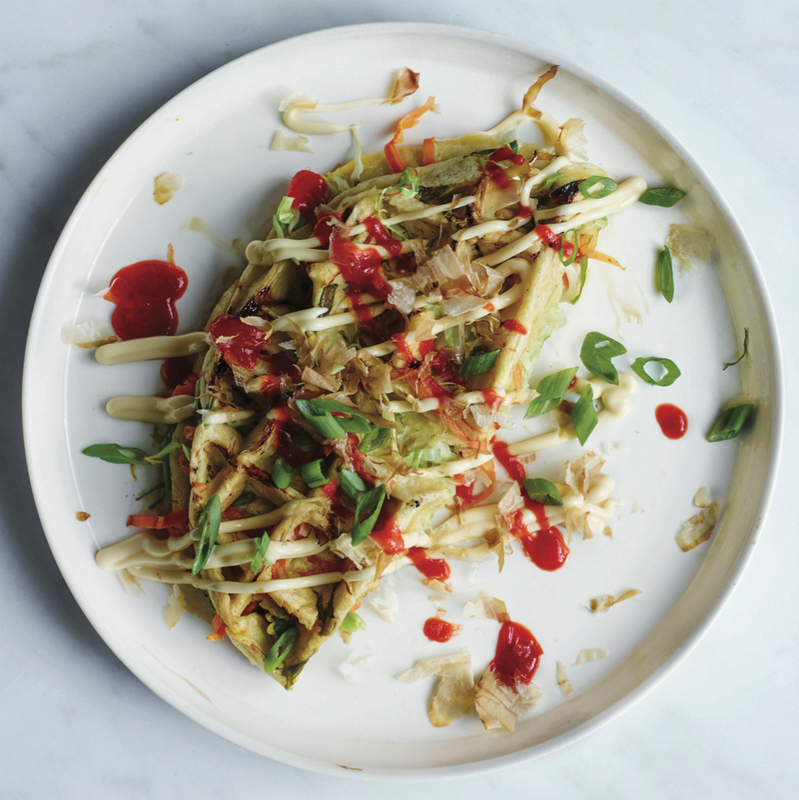 Open the iron and,using a spatula,fold the okonomiyaki in half;transfer to a plate.Serve topped with the bacon,Kewpie,Sriracha,bonito and sliced scallions. Look for Kewpie mayonnaise (which is made with rice vinegar,and very popular in Japan) and bonito flakes at Asian markets.